Dr Katherine Ravenswood and Dr Julie Douglas were interviewed recently for AUT’s podcast series Afraid to Ask. The podcast takes the thorny questions submitted by listeners and poses them to AUT experts. This episode, titled ‘Why are women worth less?’, asks about the gender wage gap and why it exists. Recently Jacinda Ardern was announced as the new Labour Party leader. Immediately after this announcement, she faced multiple questions from media focusing on whether she plans to have children. Arden has hit back saying that it is completely inappropriate to ask such questions in 2017. 95bFM speaks to Katherine Ravenswood from AUT’s Gender & Diversity Research Group about how prevalent this issue is in women’s experiences of the workplace. Entries are open for the 2017 Women’s Studies Journal Graduate Prize for a Feminist Essay, awarded by the Women’s Studies Association, and administered by the editorial collective of the Women’s Studies Journal. The award will be presented to the author/s of a submitted essay that is considered by the judging panel to be the best representation of contemporary feminist scholarship. For the 2017 prize the theme is 'Intersectional feminisms: New agendas for theory and activism.' They are open to a range of interpretations of this topic, and welcome submissions from all feminist graduate students. Entries close 1 July 2017, and the winning essay will be announced on 1 October 2017. The award consists of a $500 cash prize, and consideration for publication in the Women’s Studies Journal. To be eligible to enter, you must be enrolled in a graduate degree at a tertiary institution in Aotearoa/New Zealand at the time of writing the essay. All suitable entries will be considered, irrespective of gender identity. The essay should be an original piece of work (although not necessarily research-based) that has not been published or accepted for publication elsewhere. The essay should be in the range of 4-5,000 words, and should follow the submission guidelines for the Women’s Studies Journal. Joint authorship is permitted, subject to both authors meeting the eligibility criteria. Submissions and queries should be sent to the WSJ editorial collective via email wsawaikato@waikato.ac.nz. 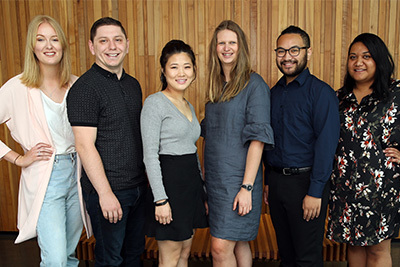 On behalf of the Gender and Diversity Research Group at AUT, Dr Katherine Ravenswood and Dr Julie Douglas have made a submission on the Bill, calling for greater consideration of the situation of women and their struggle for equal and equitable pay and work. 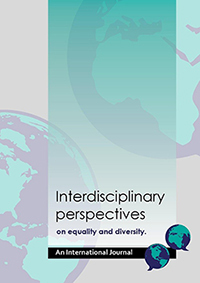 This is an open access journal for interdisciplinary research relating to gender and diversity issues. It aims to provide a forum for international research which advances and challenges our understanding of equality and diversity from innovative and empirical perspectives. This special issue of IPED explores the Women's March on 21 January 2017 and President Donald Trump. Five prominent New Zealand women speak out on issues relevant to women, including new research from the Human Rights Commission. The research published to mark International Women's Day has found women earn $600,000 less on average than their male counterparts.